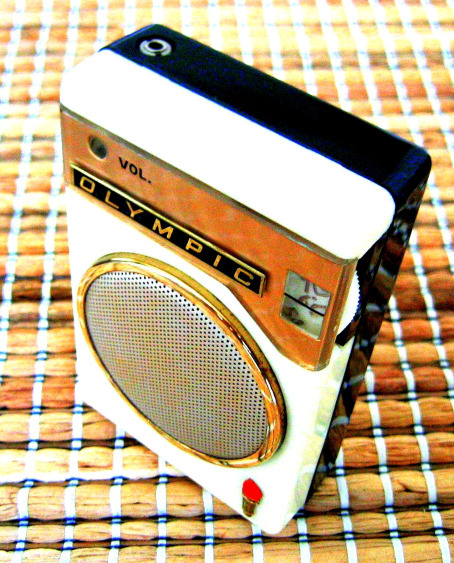 This heroic little Olympic 779 was manufactured in Japan circa 1960. 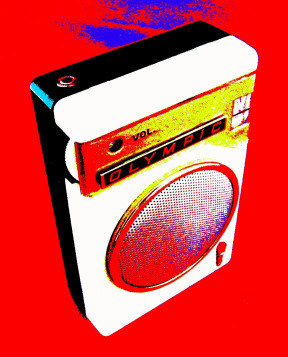 It was made for American company Olympic Radio & Television of New York. 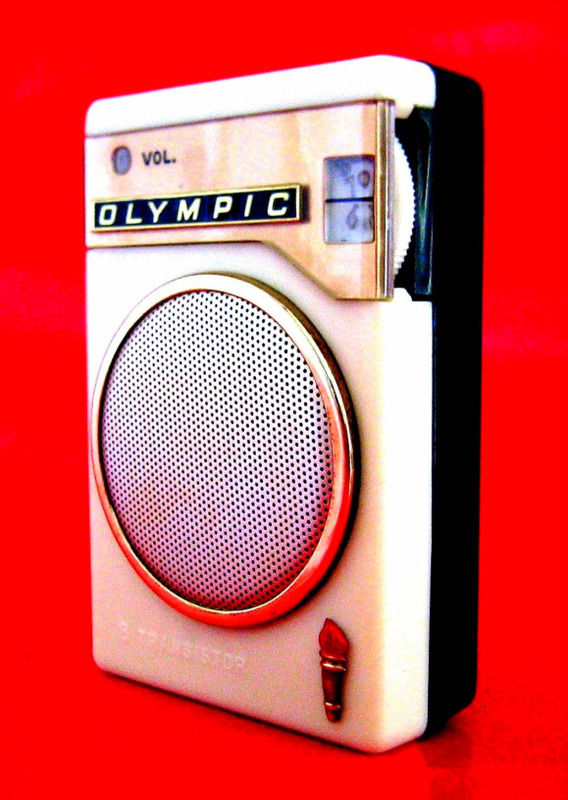 Olympic Radio & Television manufactured radios from at least 1946 and into the 1960’s. 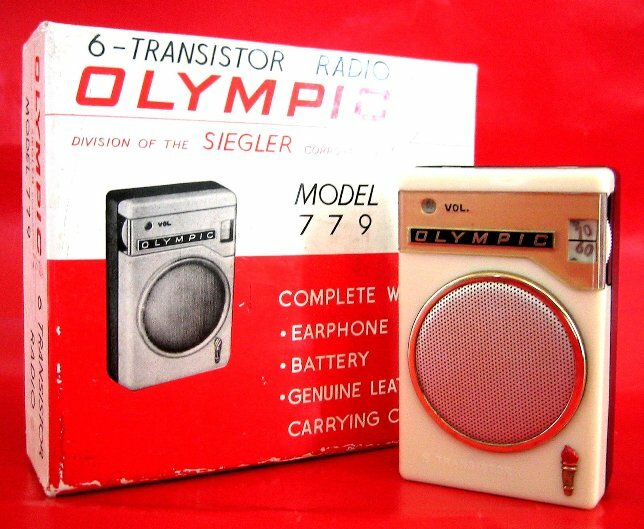 Their first transistor radio was the ‘lunchbox’ style 4 transistor 447 manufactured in 1956. They were purchased by the Siegler Corporation sometime between 1952 and the early 1960’s. 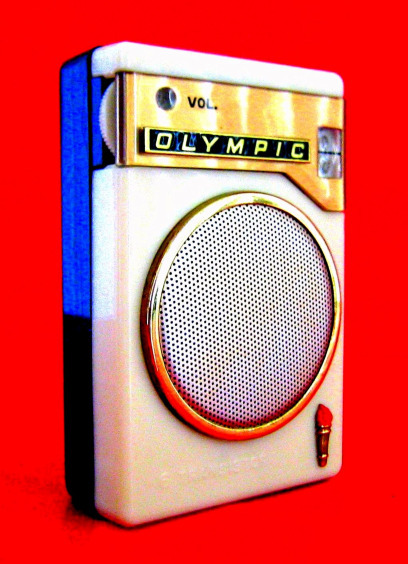 I assume that when Olympic started selling shirt pocket transistor radios they contracted either an established Japanese manufacturer like Matsushita or an OEM factory to make them. 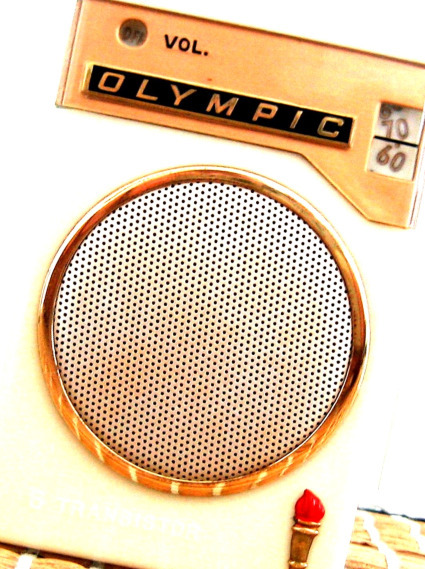 This Olympic 779 features a gold reverse-painted face beneath the metal Olympic badge. 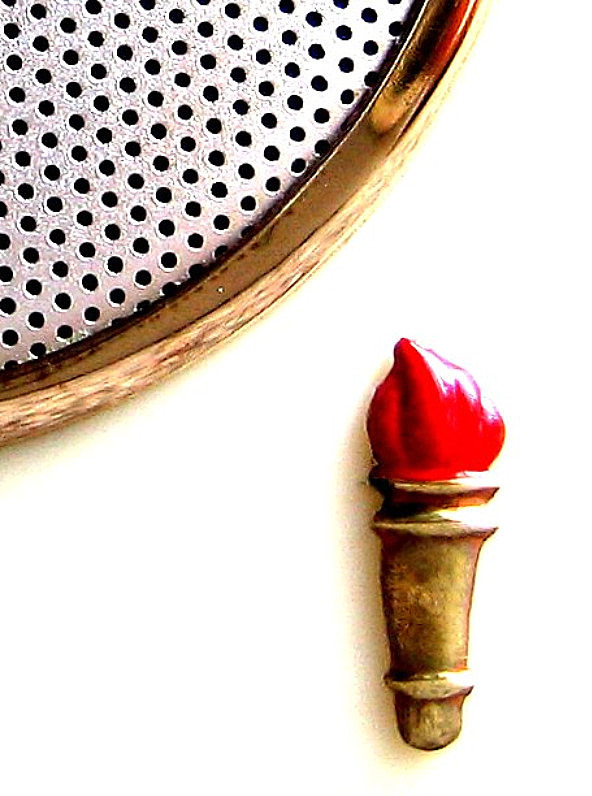 This is quite unusual to have a metal badge over the top of reverse painting. 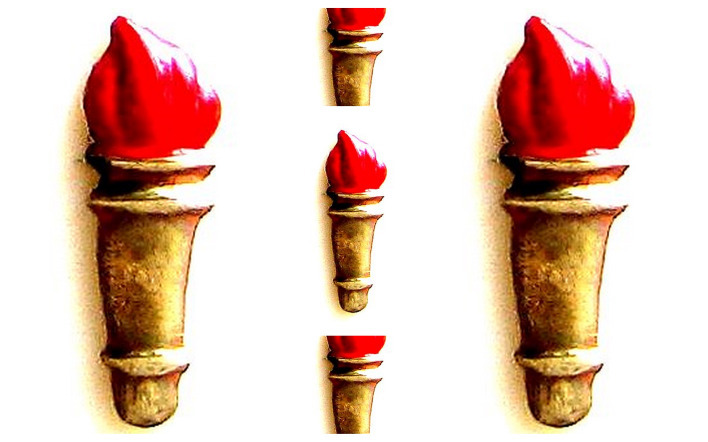 It also features a beautiful little red and gold cloisonné badge in the shape of an Olympic torch! It measures just 59mm W x 93mm H.
This little Olympic 779 can also be found branded as a Grand Pix GP-21 and a Mayfair GP-21 minus the Olympic torch. 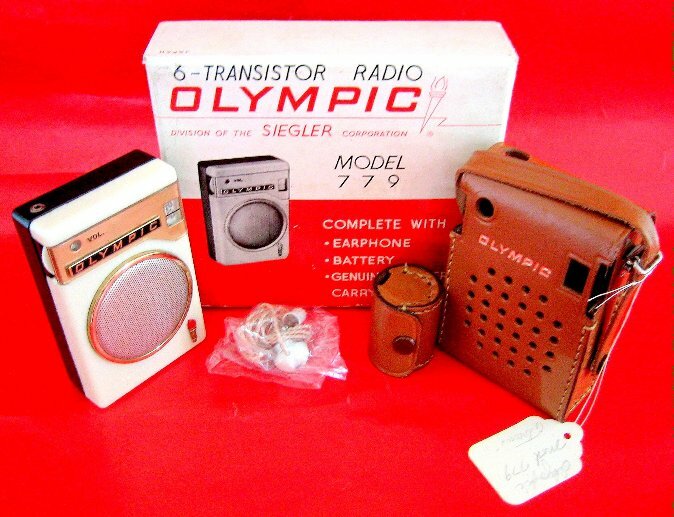 This Olympic 779 comes with a gift box, leather case, earphone, leather earphone case and a model tag. 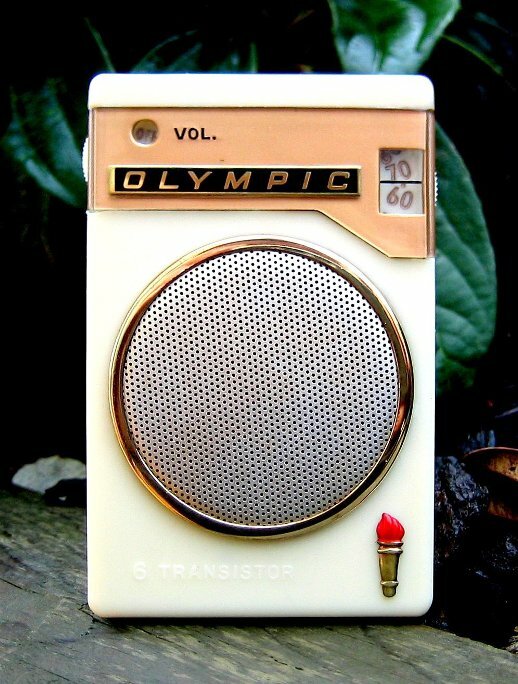 This Olympic 779 uses 6 Matsushita transistors. It has an unusual fold out schematic diagram inside with the serial number attached. If I assume that the serial number date code used by Alan Kastner of RadioWallah applies to this radio then that would give it a manufacturing date of March 1963 and a serial number of 1313.